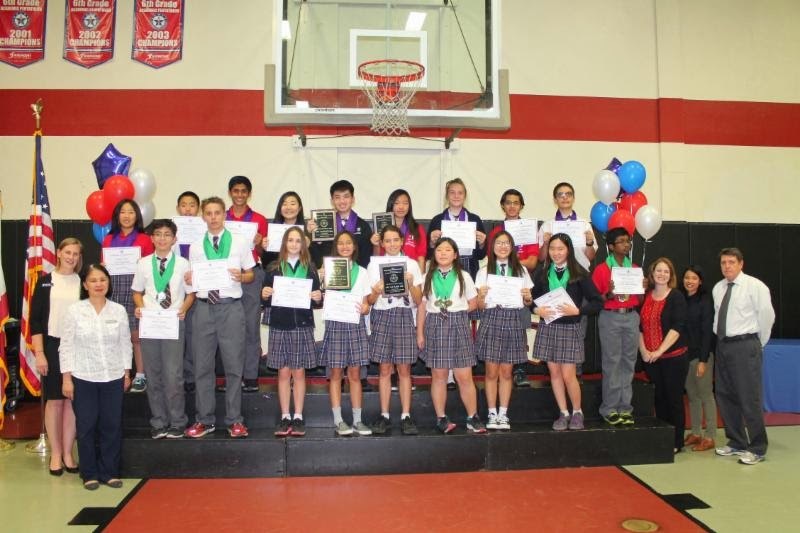 In late March, eighteen Historic Anaheim 7th and 8th graders competed in the Orange County Department of Education's Academic Pentathlon at Bolsa Grande High School. Both our 7th and 8th grade teams did very well. The 7th grade team captured 2nd place in Super Quiz and 1st place in Overall Team while the 8th grade team achieved 1st place in both Super Quiz and Overall Team. In addition, Historic Anaheim students won over 85 individual medals and many students finished with scores in the top 10 in all of Orange County! We are so proud of our pentathletes!